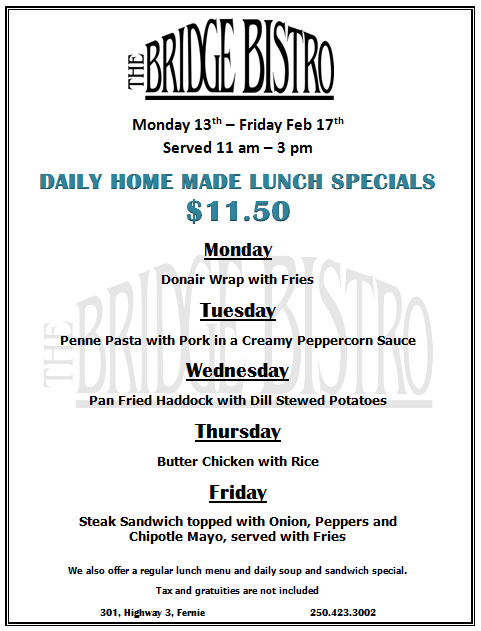 These are our daily home made lunch special for the week of Feb 13 to 17. Come join us! 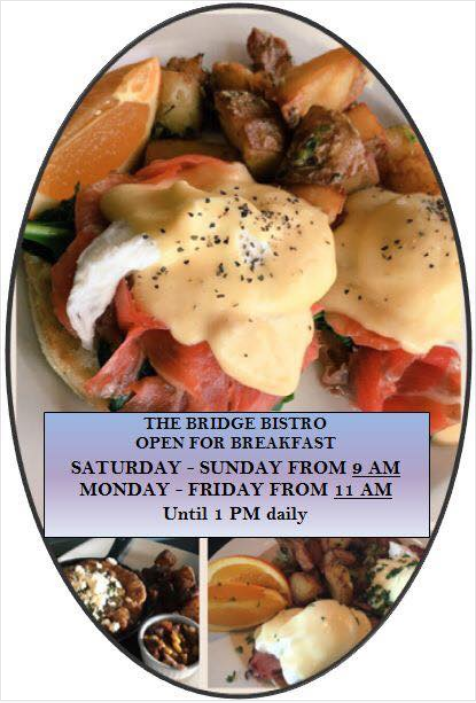 The Bridge Bistro is open on Weekends at 9am and weekdays at 11am for breakfast, come join us! 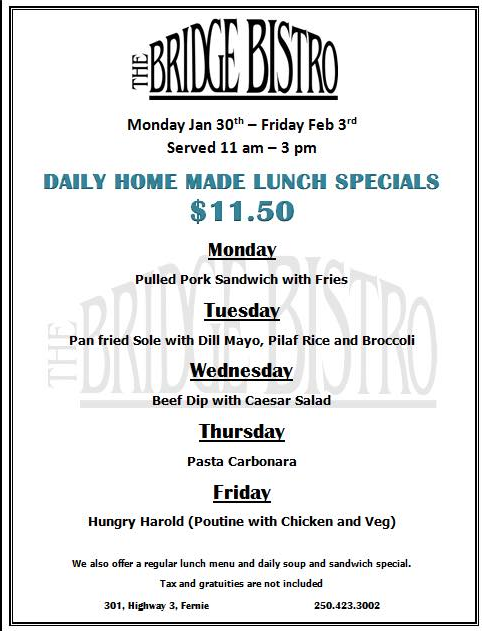 These are our Daily Home Made lunch specials for the week of January 30 to February 3rd, 2017. Come join us for lunch! 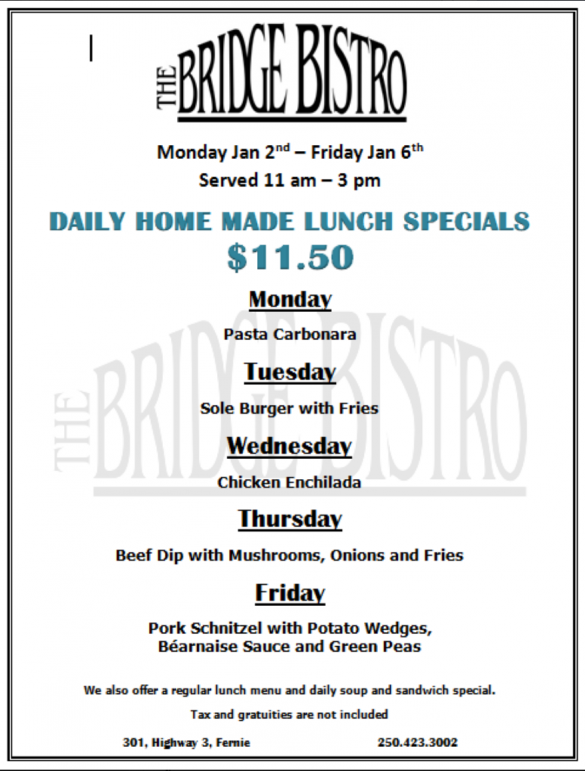 These are our Daily Home Made lunch specials for the week of January 16 to 20, 2017. Come join us for lunch! 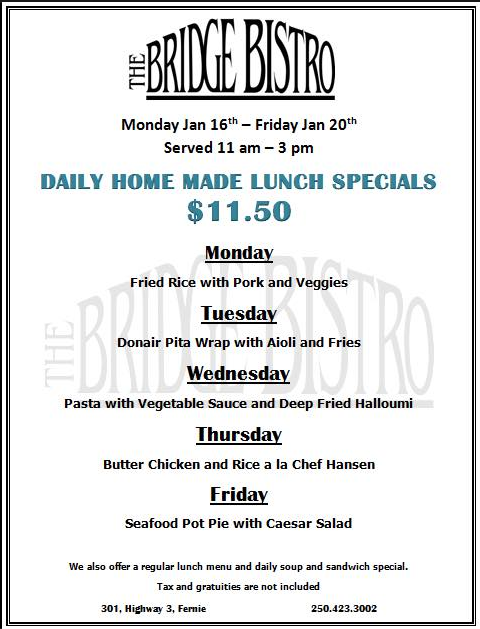 These are our Daily Home Made lunch specials for the week of January 2 to 6, 2017. Come join us for lunch!